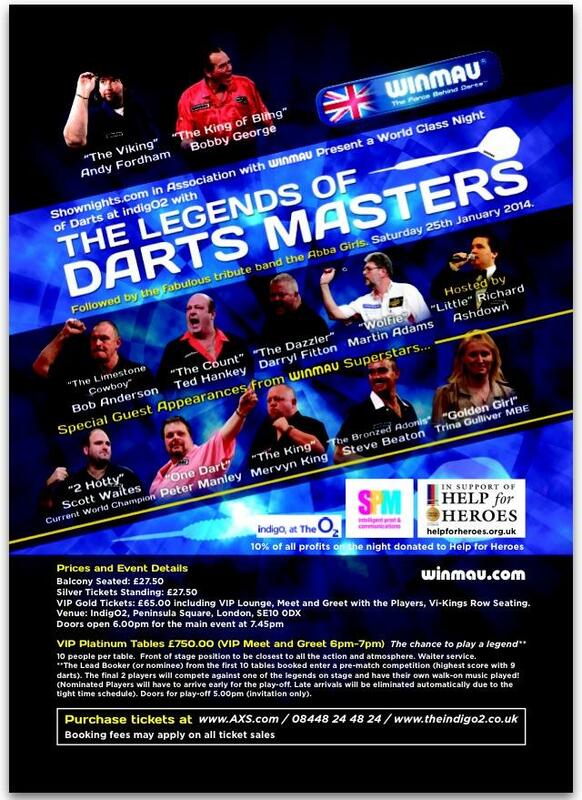 Saturday 25th January Shownights.com in Association with Winmau Present a World Class Night of Darts @ IndigO2 with The Legends Of Darts Masters.Followed with Live Music after with the UK’s No1 Abba Tribute. Hosted By “Little” Richard Ashdown. Come and see Andy Fordham, Bobby George, Martin Adams, Bob Anderson, Daryll Fitton and Ted Hankey you could end up playing one of them.